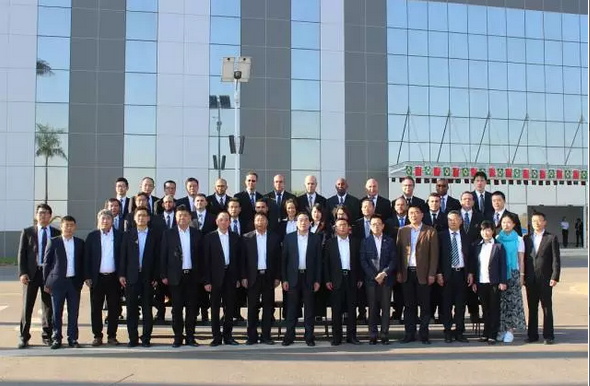 On August 11 in Brazil (local time), Mr. Zhou Tiegen, Mayor of Xuzhou, and his delegates, made an on-site inspection of XCMG Brazil Base, conveying the care and appreciation to all the employees here from the Party Committee and Government back at home. While speaking highly of the Base’s achievements over the past years, he also expressed his ardent hope that XCMG Brazil Base will make further efforts to become a role model in promoting Chinese-Brazilian cooperation and sustainable development. Mayor Zhou Tiegen and His Party Received a Warm Welcome from XCMG Staff at the Brazilian Base. A snapshot of Mayor Zhou Shaking Hands, Talking and Posing for Pictures, with the Staff. 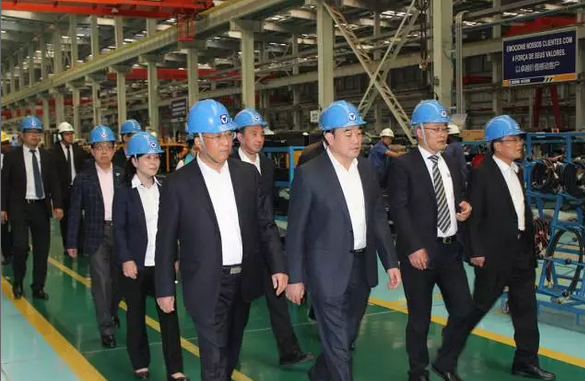 The leaders in company of Mr. Zhou during the inspection included: Zhao Xingyou, Vice Mayor of Xuzhou; Tang Jian, Mayor of Pizhou City; Lu Chuan, President of Machinery and Deputy Party Secretary of XCMG; Wang Yansong, Vice President of Machinery & Chairman of XCMG Brazil Base; and Cui Jisheng, General Manager of XCMG Brazil Base. Mayor Zhou made detailed inquiry into the production situation at the workshop, in particular, efficiency, skills, localization and so on. 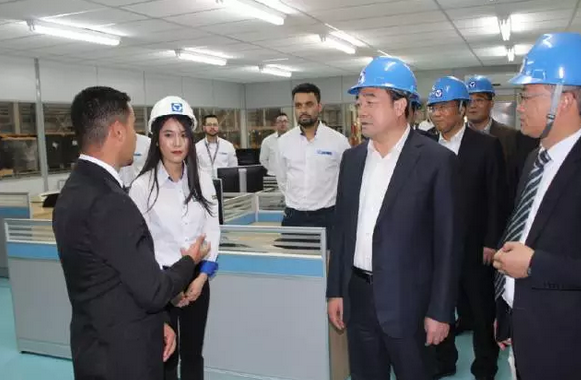 After being given a concise briefing, he extended his full recognition of production and innovation capabilities of XCMG, and spoke highly of staff skills and localization level at the XCMG Brazil Base. Douglas, Brazilian Director at Technology Department, Briefed Mayor Zhou on Works at his Department. 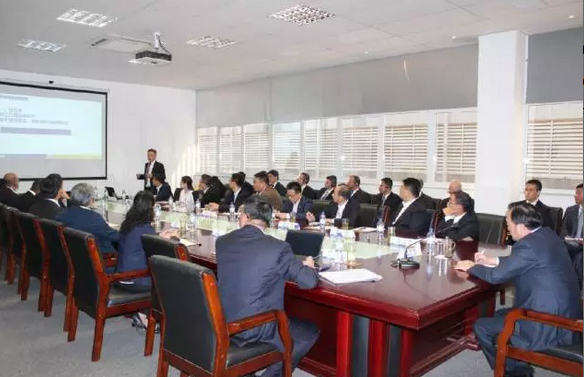 Mayor Zhou urged foreign workers at the Base to work hard, making more contributions to XCMG with their actual actions, and expressed his welcome to their visit, study and exchanges at Xuzhou in future. In the speech at the meeting, Mr. Lu summed up the overall operation results at the Brazil Base over the first half of 2017 in seven dimensions: Asset efficiencies (incomes & profits, penetration rates, production efficiencies, accounts receivable and inventories), Product quality, Sales & marketing, Local talent development & corporate culture building, Compliance with laws and regulations & mastery and application of preferential policies, and Improvement on high-end platform for local sales and international exports, reported to the Mayor and his party on the progress in achieving XCMG’s overall goal of 5-2-2-2 (5 Growths, 2 Improvements, 2 Controls and 2 Declines) set at the beginning of the year – by now, the Brazil Base has smoothly hit the majority of targets over the first half of the year, and gave a quick briefing on latest developments in various fields, such as structural adjustment, organizational optimization, three traditional categories of main machines, five newly-launched operations, local and overseas markets, industrial structure, product assortments, refined management and asset allocation optimization. Then, Mr. Lu proceeded with the international operation at the Brazil Base, pointing out that international operations must be built on refined and localized operations, that is to say, we must focus exclusively on high efficiency, high quality, low costs and low emissions, give a higher priority to localization: to acquire and foster local talent, and at the same time, to give capital resources and fundraising platforms a greater role to play. In the end, he said that the international operation at the Brazil Base should be an all-inclusive internationalization drive, making the best of not only the two Traditional Rates – rate of market penetration and rate of profits, but also the two New Rates – exchange rate and tax rate. After the debriefing, Mayor Zhou expressed his pleasure with the achievements the XCMG Brazil Base has made, and said: First of all, as a Chinese and a fellow from Xuzhou - the hometown of XCMG, I am very proud of XCMG Brazil Base. Its birth per se is a significant milestone on XCMG’s road to international markets and the global stage. Secondly, I am very pleased with XCMG Brazil Base’s growth, its promising prospects, its disciplined management, its increasing production capacity, its strict quality control and its increasing market share. All these promise a good beginning of its further development in future. Thirdly, I am also very pleased with the aspiring spirit of the staff at XCMG Brazil Base, including both Chinese and foreign employees, especially key managerial and technical personnel. 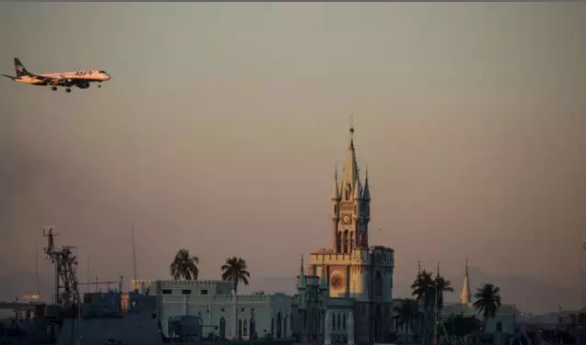 This upbeat, enterprising mindset is a sign of their confidence in its development, a sign of their commitment to the organization, and also a sign of its pioneering corporate culture and strong cohesive force. This mindset, I think, sheds light on tremendous potentials for XCMG Brazil Base. 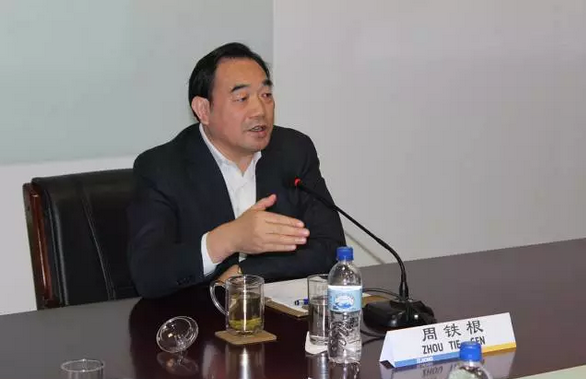 Mayor Zhou also emphasized three directions in which XCMG should push ahead in future: First, XCMG should always seek and explore the most advanced and cutting-edge technologies in construction machinery industry to sustain and fuel the development of the entire XCMG through technological innovations. Second, XCMG should make full use of capital markets to fund its mergers, acquisitions and restructurings, seeking to emerge larger and stronger while marching on the road to be a world-class global giant. Third, XCMG should make more efforts in improving its governance structure and enhancing its governance capacity, which are the foundations for its further development. Going forward, Mayor Zhou urged the Brazil Base to enhance four kinds of awareness: The first is to strengthen innovation awareness. Still in its infancy, XCMG Brazil Base must attach importance to scientific and technological talent. It must attract and retain local talents in Brazil. Only an enterprise with strong talent can carve out a strategic foothold on international arenas. Therefore, talent is of strategic significance to long-term development. The second is to strengthen the market awareness, namely, XCMG should venture beyond its Brazilian stronghold into South America, quickly gaining its market share across the region. The third is to strengthen management awareness. Being a newly-born enterprise, the Brazil Base should adopt modern international management standards and best practices in establishing and managing its organizations. It should make bold trials on new models, innovative methods and best practices, and abandon extensive management modes and undesirable practices in traditional manufacturing industry. It should promote international and local business models, and experiment with process innovation management. The last one is to strengthen people-oriented awareness and promote people-oriented management modes. To this end, XCMG should, first of all, value and care about its staff, providing its employees with desirable working and living environments and fair salaries; it should study and comply with local laws and regulations, and give local talents a greater role to play, enabling Brazilian employees to realize their personal values and advance their career development as the enterprise grows. Only when you really do it this way, can you sustain your business development and make your enterprise evergreen. It is my hope that XCMG Brazil Base can be able to shape up as a role model of Chinese-Brazilian partnership and a poster boy of sustainable business development. 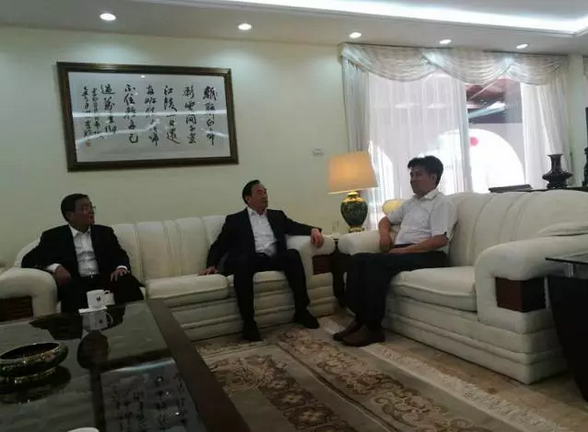 Mayor Zhou and his party, accompanied by Vice President of XCMG Machinery Wang Yansong, met with Mr. Ivan, Director of the Senators’ Office, and Mr. Paulo, Foreign Affairs Officer of the Presidential Palace, at Brasilia for in-depth discussion on further cooperation. On behalf of the President, Mr. Paulo spoke highly of XCMG’s commitments to Brazil and its exemplary role, and extended his sincere congratulations on the outstanding achievements XCMG has made in a lackluster industry landscape. 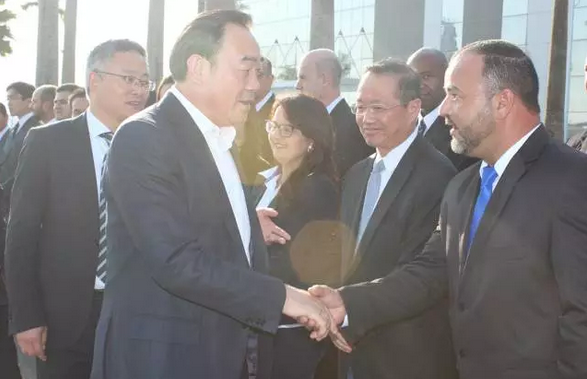 On the last leg of the journey on the same day, Mayor Zhou and his party also paid an official visit to Mr. Li Jinzhang, the Chinese Ambassador to Brazil. 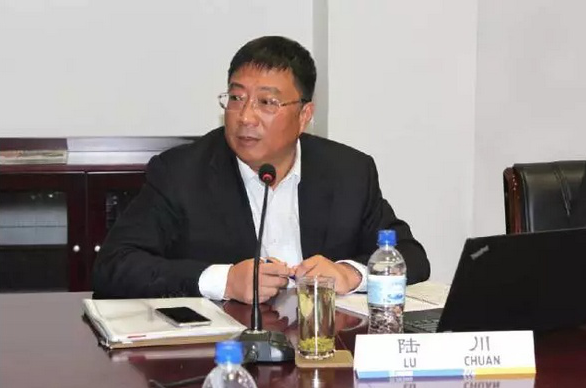 Mr. Li rattled off a long list of XCMG Brazil Base’s major achievements, and expressed satisfaction with XCMG’s commitments to Brazilian development amid the ongoing downturns and its recent success in landing a string of blockbuster orders. 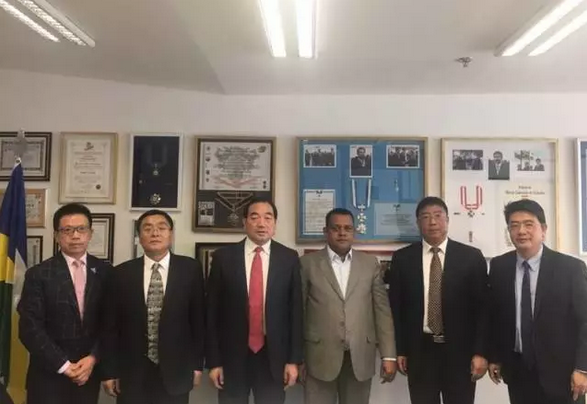 In addition, Mr. Li also highly recognized the Party organization building efforts at XCMG Brazil Base to be highly aligned with the Central Committee of the Party back at home.